In this handout photo provided by Forum Photos, Among the VIP guests at the Ariana Grande Dangerous Woman show at the Forum were Kim Kardashian and daughter, North West on March 31, 2017 in Inglewood, California. Three generations of Kardashian women star in the ad campaign for the Italian label Fendi. It was only a matter of time before Kim Kardashian West's oldest daughter North West followed in her mother's footsteps by appearing in an advertising campaign for a fashion house. Though better known for her controversial reality television series, Kardashian West is deeply entrenched in the world of fashion. She was even honored as an influencer by the Council of Fashion Designers of America this year. 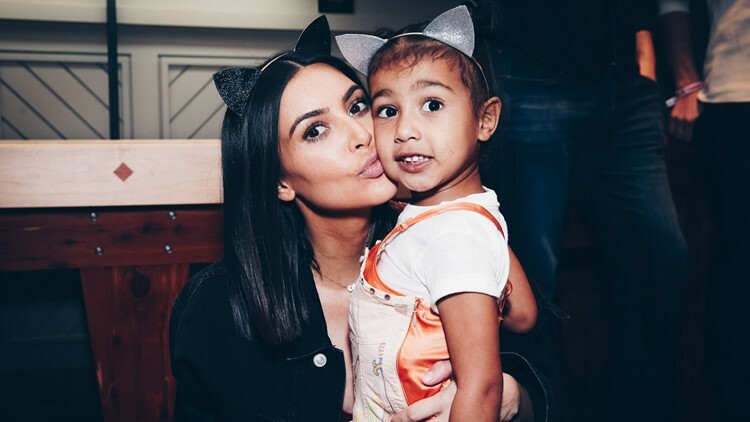 North, who turned 5 on June 15, appeared with her mother and grandmother, Kris Jenner, in the second series of an international fashion campaign to celebrate Fendi's 10th anniversary of their Peekaboo bag. The three appeared in a video and stills designed to elicit the family bond of three generations of women. "Starting with @kimkardashian, her mother @krisjenner and daughter North West, who for the first time share a different side of their personalities through a series of candid and spontaneous shots," read an Instagram post from the Italian label. The three generations of Kardashian women also starred in a heavily desaturated video that makes the cinematography of "The Handmaid's Tale" look downright vibrant. North, dressed in a ruffled shirt, skirt and oversized blazer, can be seen trailing her mom (sporting thigh-high Fendi logo boots, as one does on hikes) through tall grass, picking wildflowers and sitting in an open field with Granny Kris before retreating to the pool. It's all set to husband Kanye West's "Love Lockdown." On Instagram, Kardashian West wrote, "These @fendi memories I will always cherish shooting this campaign with my mom @krisjenner & daughter."